Nearly a year after Warner Brothers announced their intention to make a biopic of outed CIA agent Valerie Plame, the identity of the actress who will play her has finally been leaked to the media - and you can only find it on MTV News. "Nicole Kidman," director Doug Liman revealed. "She's perfect if you've ever met Valerie. It will be a while before the movie starts filming, as Nicole is currently pregnant. Rep. Henry Waxman, chair of the House Oversight Committee, has sent this letter to Attorney General Michael Mukasey, asking for seven classes of documents pertaining to the Valerie Plame Investigation. (1) How did such a serious violation of our national security occur? (2) Did the White House take the appropriate investigative and disciplinary steps after the breach occurred? And (3) what changes in White House procedures are necessary to prevent future violations of our national security from continuing? As the recent disclosure from former White House Press Secretary Scott McClellan underscores, there remain many unanswered questions surrounding this incident and the involvement of the President, the Vice President, and other senior White House officials in the security breach and the White House response. 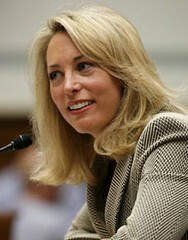 Valerie Plame Wilson's cover as a top CIA agent was blown when Bush Administration officials leaked her name to the media; the ensuing investigation resulted in Vice-President Cheney's chief of staff, Scooter Libby, being convicted of a felony. But it almost destroyed Valerie Wilson's life, too. Now, for the first time, she tells her story of a life as a spy, the career of a undercover agent and mother of twins and the sudden object of the White House's wrath. It is a remarkable woman's story, a political story, a tale of betrayal and courage. 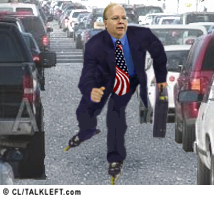 How close did Karl Rove come to getting indicted in PlameGate? As they say, "this close." Check out today's re-issued opinion (pdf) in the Judith Miller - Matthew Cooper D.C. Circuit Court of Appeals subpoena case containing new un-redactions: the name of Karl Rove. "Regarding Cooper, the special counsel has demonstrated that his testimony is essential to charging decisions regarding White House adviser Karl Rove." "Thus, given the compelling showing of need and exhaustion, plus the sharply tilted balance between harm and news value, the special counsel may overcome the reporters’ qualified privilege, even if his only purpose—at least at this stage of his investigation—is to shore up perjury charges against leading suspects such as Libby and Rove." The unredaction there is the last two words: "and Rove." There's more goodies, including those about Armitage, Libby and Cheney. The pdf is searchable, type in your favorite name. The unredactions are in italics. Valerie Plame: "I Was Covert"
I’ve served the United States loyally and to the best of my ability as a covert operations officer for the Central Intelligence Agency. I worked on behalf of the national security of our country, on behalf of the people of the United States, until my name and true affiliation were exposed in the national media on July 14th, 2003, after a leak by an administration official. Today I can tell this committee even more. In the run-up to the war with Iraq, I worked in the Counterproliferation Division of the CIA, still as a covert officer whose affiliation with the CIA was classified. I raced to discover solid intelligence for senior policymakers on Iraq’s presumed weapons of mass destruction program. If you are by a computer this morning, don't miss the Valerie Plame hearing which will be webcast on C-Span as well as the Oversight Committee's website. Chairman Henry A. Waxman announced a hearing on whether White House officials followed appropriate procedures for safeguarding the identity of CIA agent Valerie Plame Wilson. At the hearing, the Committee will receive testimony from Ms. Wilson and other experts regarding the disclosure and internal White House security procedures for protecting her identity from disclosure and responding to the leak after it occurred. The hearing is scheduled for Friday, March 16. I'm looking forward to hearing Valerie Plame Wilson tell her side of the story. Former CIA Analyst Larry Johnson posts how he thinks Valerie Plame Wilson should answer the questions. Update: Valerie Plame will testify at the hearing. 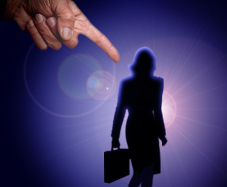 House Oversight Committee Chairman Henry Waxman announced today that he will hold a hearing on March 16 to determine whether "White House officials followed appropriate procedures for safeguarding" Plame's identity. Rep. Waxman's announcement is here. Waxman also wrote this letter to Patrick Fitzgerald (pdf), inviting him to share his thoughts and perhaps testify.